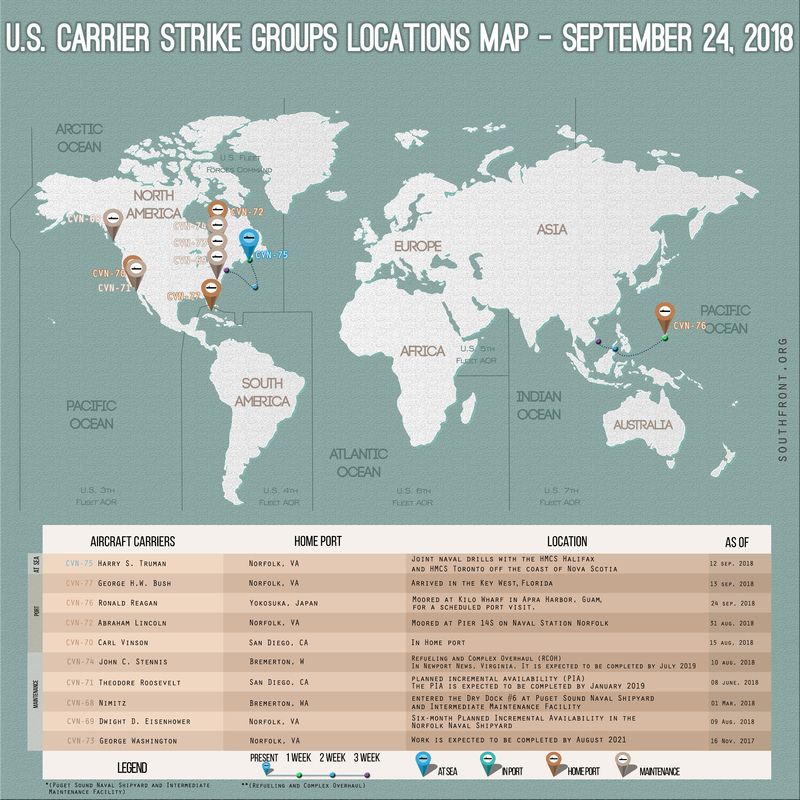 US Carrier Strike Groups Locations Map – September 24, 2018 5 out of 5 based on 3 ratings. 3 user reviews. Is it only circumstantial that no CVN stays remotely near Europe or Middle East ? There is only one CVN outside a harbor , and literally only one stonethrow away from its homeport. They behave like german battleships after May 1941. Or the piss coloured hair dude just want to show his wife something big and impressive. 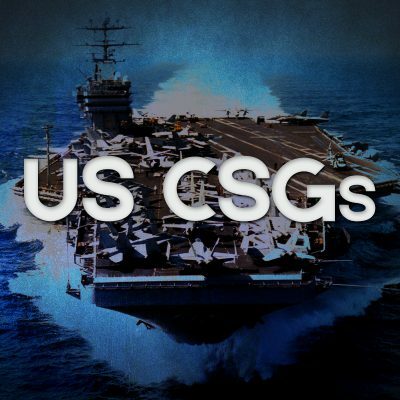 Smart with a “possible” war in the Mediterranean region….you would expect he would have send at least one little Carrier Strike Group over there….perhaps it is because these Carrier Strike Groups became a little irrelevant with Hypersonic Missiles….they’ll be like Sitting Ducks…. No matter what its a step in a well calculated plan. So would this mean that the staged chemical attack, that would be followed by a massive coalition strike, is delayed or even cancelled? Or that Dump can play the nice guy saying; see, we are in no way escalating the situation? Or could it mean that he has surrended the Mediterranean to the russians? Or is it a secret deal between the Russians and the us. Forgot about the Idlib-deal, thanks for reminding me. What im worried about is just that now Turkey have a foot inside Syria, and if i know my politics correct, they aint gonna let go of it without getting a thing or two back. But again, now Assad have a short breathing room to either buff his troops or relocate them/some of them to more pressing areas. They can’t afford to deploy them. The same thing happened in the Soviet Union leading up to the collapse. But they can create money out of thin Air what’s the Problem? Did they run out of Air? Is the FED’s printing machine broken..? Out of Ink…? No more paper? Yes they can print, but if other countries lose faith in the dollar, it will go the same way as Zimbabwe, and that faith is starting to fade. Short the dollar, buy some silver or gold. The Sixth Fleet is the United States Navy’s operational fleet and staff of United States Naval Forces Europe. The Sixth Fleet is headquartered at Naval Support Activity Naples, Italy. The officially stated mission of the Sixth Fleet in 2011 is that it conducts the full range of Maritime Operations and Theater Security Cooperation missions, in concert with coalition, joint, interagency, and other parties, in order to advance security and stability in Europe and Africa.